Dahlia Publishing is delighted to be publishing Susmita Bhattacharya’s short story collection, Table Manners. I’ve been a fan of Susmita’s work for years and had the pleasure of working with her on our Beyond the Border anthology in 2014. It was only recently that I plucked up the courage to ask Susmita whether she had plans to work on a collection. I was delighted when she said yes. In this short blog, Susmita Bhattacharya tells us more about her fascinating life, moving from place to place on oil tankers, and how this informs her short fiction. When I began my writing career, I had no idea how true Jodi Picoult’s quote would be and how much it would relate to me. I had no idea, in the first place, that I’d be leaving my home in Mumbai and travelling around the world on oil tankers for three years with my husband. I had no idea that I’d live in five cities in three different countries that I’d call home. And I certainly had no idea how much I’d miss the place where I was born. Where I’d grown up. Until I moved so far, far away from there. I lived in Cardiff, back in 2004, when I wrote my first short story that was published. It was filled with nostalgia for Mumbai, the place I had left. I remember feeling so homesick while writing that story that I cried and ached to go back home. I also wrote about Singapore, where I had lived prior to Cardiff and that had a different feel to it. It was more to do with the culture, the sights and sounds and tastes – because that’s how I had experienced the city. It did not pull me emotionally like my city, Mumbai, did. While in Cardiff, I did my Masters in Creative Writing at Cardiff University. I was putting together a collection of short stories as my submission. I realised most of my stories were set in India – one in Singapore. But I couldn’t set any of my stories in Cardiff. I lived there for nearly five years, but I didn’t dare to. I didn’t feel like I had immersed myself enough to be able to do justice to it. Except the one where the protagonist lived in Cardiff but pined away for Mumbai. That was kind of autobiographical, and I learned to move away from such themes quickly. Finally, after moving to Plymouth, I got the distance I needed from Cardiff and did not hesitate to set my stories there. I realised that not being present in the place I was writing about gave me a new perspective about the place that I missed while actually living in that city. I still haven’t got that distance form Plymouth, having moved once again, to write about it. But I will – soon enough. My days of sailing gave me the distance I needed from myself. It put me in an extraordinary position of leaving the ordinary life behind and experiencing new adventures. It was a fantastic opportunity for me to reflect and think about my life and my goals. It gave me time and space to write and to experience the world quite organically. It helped me see new worlds and cultures, and it definitely helped me figure out how much I valued my starting point. The stories in my debut collection, Table Manners are my attempt to capture some of these experiences, physical and emotional, my starting points and create fiction that explores this sense of place. Susmita Bhattacharya was born in Mumbai. Her short fiction has been widely published, been nominated for the Pushcart Prize and broadcast on BBC Radio 4. Her novel, The Normal State of Mind, was published in 2015 by Parthian (UK) and Bee Books (India). It was long listed for the Words to Screen Prize by the Mumbai Association of Moving Images (MAMI). She teaches contemporary fiction at Winchester University and also facilitates the Mayflower Young Writers workshops, a SO:Write project based in Southampton. Table Manners launches on 28th September 2018 at P&G Wells Bookshop in Winchester. Everyone is welcome to join us for an evening of readings and refreshments. A new campaign to get everyone writing short stories kicks off this week. Short Story September is a month-long initiative set up by independent press, Dahlia Publishing. 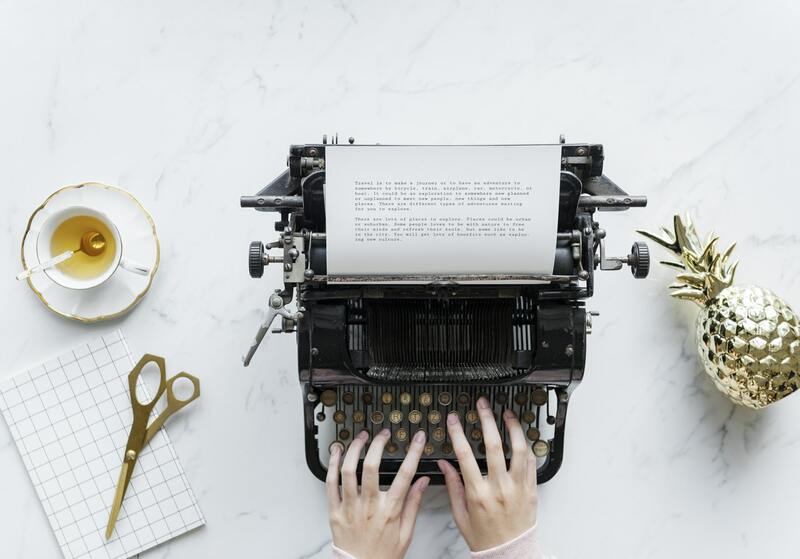 Following their first short story festival, the aim of the project is to celebrate the short story form online as well as raise the profile of British short story writers. Writers can follow the campaign via a dedicated blog which will offer daily prompts and feature a showcase of writing by authors with published collections. Authors featured during the campaign include ShortStops Founder, Tania Hershman, BBC National Short Story Prize Winner, Sarah Hall, and rising stars, such as CG Menon. Writers also have the chance to win some fantastic prizes in a weekly competition supported by generous partners, including The Word Factory, Bristol Short Story Prize and Comma Press. Writers can sign up at http://shortstoryseptember.co.uk/. Follow us on Twitter @dahliabooks and use the hashtag #ShortStorySept to join the conversation. Short Story September launches on 1st September, so sharpen those pencils, power up the laptop, let’s do this! Dahlia Publishing is delighted to be publishing CG Menon’s short story collection, Subjunctive Moods. Catherine won two competitions hosted by us, The Asian Writer Short Story Prize in 2014 and the inaugural Leicester Writes Short Story Prize last year. It was after this second win, about a year ago, that I spoke to Catherine about the possibility of putting together a collection. In this short blog, CG Menon introduces her debut short story collection, Subjunctive Moods and shares her experience of the process. When Dahlia Publishing approached me about putting a short story collection together, at first, I thought the hard work was over. Once I’d got that far, surely it would simply be a process of picking out the best stories and stapling them into a book. To cut a long story short: it wasn’t. Putting together individual stories into a consistent and cohesive collection was an intricate journey, and along the way I learnt a lot about the stories themselves and exactly why they worked. Like many people, I write short stories without having a particular theme or common thread in mind. A lot of my pieces draw on my family history: my father is Malaysian Indian, and much of our family “folklore” comes from rural Pahang. However, there’s an equally strong pull from the other side of my family, who originate in Yorkshire. Both Pahang and Yorkshire are places with a very strong tradition of oral storytelling. They mix myth up with real, mundane events. They’re the sort of places where ghosts always appear when you’re doing the washing-up, and your first thought when a fairy walks in is whether you’ve mopped the floor. Because of this, there were strong common threads between stories which were superficially quite different. I’ve never felt that I identify solely as an Asian writer, or solely as a white writer, and having a mix of the two was very important to me. In the process of choosing stories I noticed several resonances that I hadn’t at the time of writing. One of these was the role of children in myth and folklore, and the ways in which they grow up. My stories set in both England and Malaysia attempt to depict the way growing up really happens: in a series of jumps, that you don’t even notice until you look back. It was also important to me to include stories which varied the pacing. Literary fiction has a habit of sticking too close to the contemplative, reflective side of life and ignoring plot. Dahlia Publishing worked with me to order the stories so that every so often the reader’s grabbed by an unmistakeable, immediate happening. Of course, not everybody reads a collection from start to finish in order. I certainly don’t! I think it’s important for a collection to have a strong start and finish, but beyond that, the selection of which stories to read will always be up to the reader. This collection is bookended by two of my very favourite stories: one which was written recently and one which is the first story I ever wrote. I certainly hadn’t planned to lay the collection out in chronological order, but these two stories finish on hopeful, forward-looking notes that, to me, summed up my writing journey. 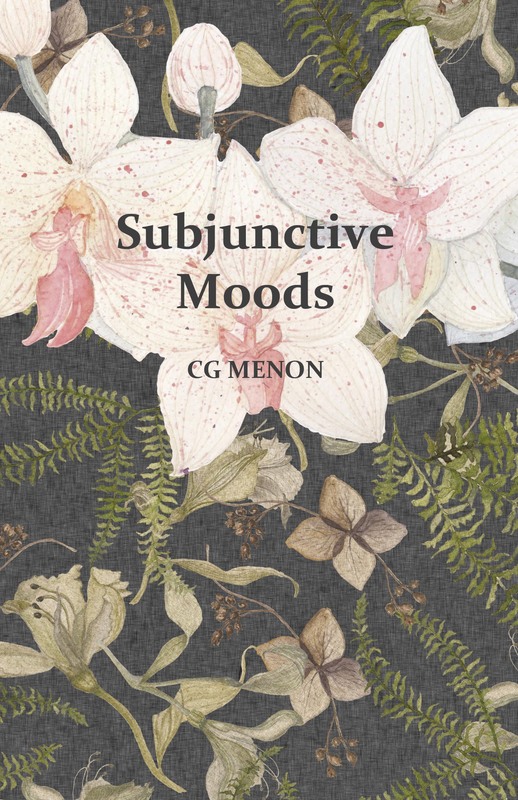 Come and meet prize-winning author, CG Menon as she celebrates the launch of her debut short story collection, Subjunctive Moods at Waterstones Islington on 5th July 2018. You can order your copy of Subjunctive Moods directly from the publisher. Join us for a wonderful celebration of all things small and wonderful as part of this year’s Leicester Writes Festival. The day will kick off with a two-hour workshop on writing and editing short stories with writers, Divya Ghelani and Rupert Dastur. The afternoon will be packed with author talks: award winning writers Rebecca Burns and CG Menon will be sharing their experiences of putting their short story collection together, and Jon McGregor and Alison Moore will be in conversation with Mahsuda Snaith to discuss taking the leap from writing short stories to novels. 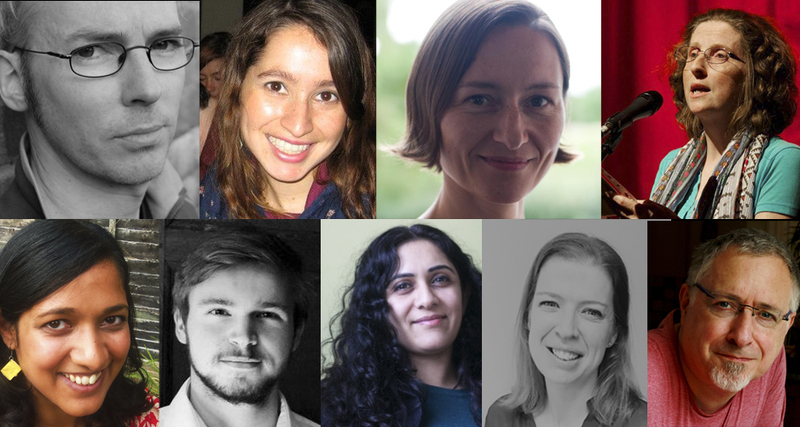 The evening will end in style with our Leicester Writes Short Story Prize anthology launch, where we will be celebrating the talents of this year’s longlist. ln this session, Divya Ghelani will introduce and discuss several prizewinning short stories to assess short fiction techniques that are classic as well as experimental. She’ll cover aspects of character, voice, language, and intrigue within the short story form. This workshop is perfect for anyone looking to understand how the short form works and wants to write a successful short story. This session will include a number of writing exercises. How do editors assess short fiction submissions? What are they looking for from short stories and flash fiction? In this session, Rupert Dastur, senior editor at The Short Story will discuss what he likes and doesn’t like to see from manuscripts. He will offer an insight into how writers can edit their stories so they are ready for publication and offer suggestions on how to manage submissions. Rupert will also share his ultimate list of who to follow and what to read so you can learn from the best. With useful tips and tricks, this session is a must for anyone looking to build their career as a writer. Join Dahlia Publishing editor, Farhana Shaikh and award winning short story writers, Rebecca Burns and CG Menon as they discuss the process of putting together a short story collection. This session will discuss the publishing process as well as how writers select, organise and write short stories for a collection. Featuring readings with both authors and a book signing. How do writers transition from writing short stories to writing a novel? What skills do they develop in the process and what is it really like to work across forms? In this session, writers share their experiences of starting their careers by writing short stories before turning their hand to novel writing. Featuring readings from award winning writer, Jon McGregor and Man Booker prize shortlisted, Alison Moore. Chaired by debut novelist and award winning short story writer, Mahsuda Snaith. Join us to celebrate this year’s winning short stories in our prize giving ceremony and anthology launch. With readings from some of this year’s winners. Leicester Writes Short Story Prize was launched in 2017 to celebrate original short story writing. The judging panel included writers Rebecca Burns, Jon McGregor and last year’s first prize winner, CG Menon. Tickets: Purchase your all-day festival ticket for just £20, workshops are included in the price.